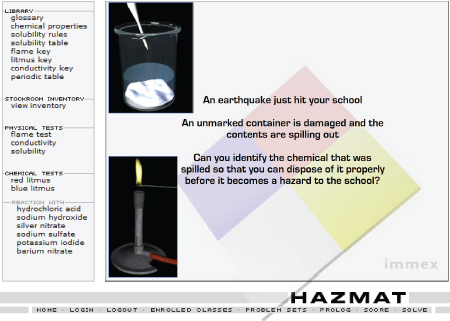 HAZMAT is designed for high school, and freshman level chemistry students. 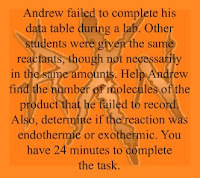 This is a qualitative analysis problem, in which the student must identify an unknown compound based on the results of the physical and chemical tests that s/he requests within the problem space. A volume of research findings has been published and/or presented on the data collected from this versitle problem set. 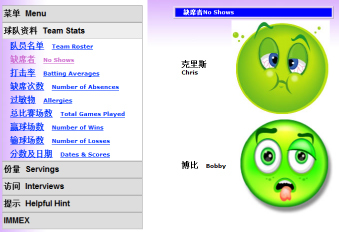 *Quadscore plots performances in terms of Efficiency & Effectiveness. The quadrants generated are termed 1-4, with 4 being best. **IRT (Item Response Theory) are estimates that measure how well students are solving IMMEX problems that takes into consideration the difficulty of each case, i.e it counts more if a student solves a difficult case. A low average IRT indicates a more difficult problem set. 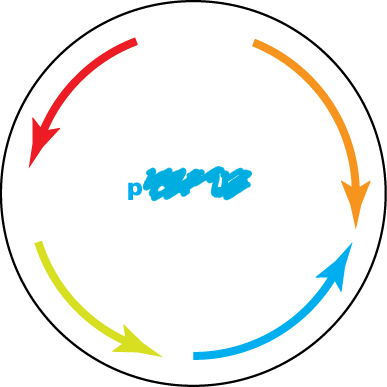 You need to use molecular biology techniques to determine which plasmid is in the container. From your lab book and invoices you know what the possible plasmids are. While using the provided "Student Guide", the student takes notes on the various characteristics of the particular plasmid, including antibiotic resistance and restriction sites. Using data from the digests the student puts together a profile of the plasmid and uses an elimination strategy to determine the solution to the problem. SOS problems deal with substance abuse and are set in the form of a reality TV show which proposes to expose an individuals underlying problems and assist the featured guest toward recovery. During "the show" you have access to the subject's behavior, employment, medical, academic, and personal records including email, voicemail and statements from friends and family. A scrolling timeline allows you to view and compare the content for up to a dozen events. SOS problems are the most complex IMMEX™ problems developed to date and are designed for students of behavioral and neuroscience. RXN is a chemistry problem (RXN stands for reaction). Use your knowledge of Endothermic and Exothermic reactions to balance chemical equations, interpret particulate diagrams, determine ratios, and solve for unknowns. 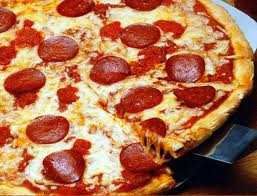 Paul's Pepperoni Pizza is designed for 3rd grade math students but is often used as an introductory problem for more advanced students. There are nine cases in the problem set which ask the student to determine how many pizzas were ordered for the Stinger's baseball team. Sometimes you're given the size of the pizzas, sometimes not, which adds a degree of difficulty. Other factors must be considered in order to calculate a solution. © 2016 The Learning Chameleon, Inc.